It’s rare that you read a crime novel that directly reflects what’s happening in the week’s news. Books, on average, take at least a year to write and what is making headlines at the time of drafting can have sunk without trace by the time of publication. However, the slow build up of violence by the Greek far-right party, Golden Dawn, means that there has been a steady stream of stories detailing acts of aggression and intimidation which culminated in the death of anti-racist musician, Pavlos Fyssas, this month. Yesterday, Greek police, who have long been considered to be in collusion with Golden Dawn, arrested some prominent members of the party, although the implications of this aren’t yet clear. 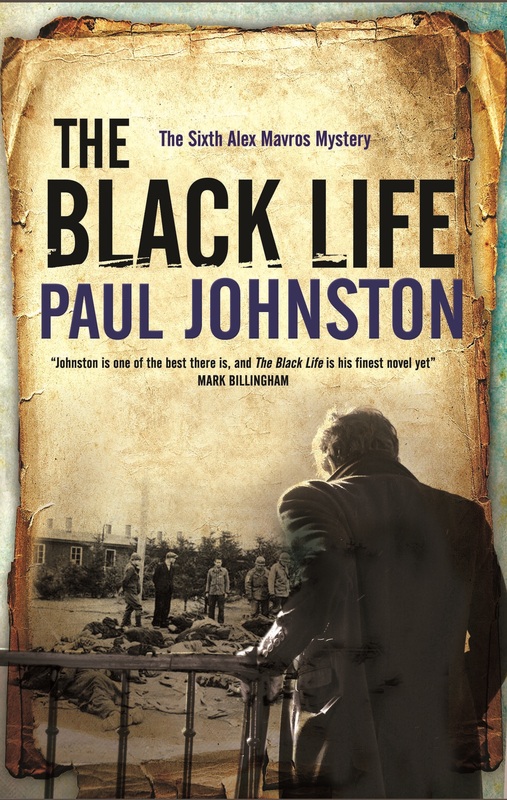 In Paul Johnston’s The Black Life, Alex Mavros comes up against a similar far-right group when he is employed by a wealthy jeweller, Eliezer Samuel, to find his uncle, Aaron who has been spotted on the streets of Thessoliniki. Aaron was supposed to have perished in Auschwitz and his reappearance is both baffling and disturbing. Alex, accompanied by Samuel’s daughter, Rachel, travels to Thessoliniki to unravel the mystery, leaving behind his disaffected girlfriend, Niki, who is struggling with her inability to get pregnant. The fate of Thessaloniki’s Jewish population during the Second World War is a tragic part of the wider holocaust history and was well portrayed in Alan Furst’s Spies of the Balkans. The consequences of extreme anti-Semitism has interesting parallels with today’s situation and Johnston, by employing a split narrative between WW2 and the present day, shows how easy it is for history to repeat itself. There are two areas that are dealt with particularly well in this book. The first is the historical story of the Jews in Aushwitz. The story is now so familiar that it is easy to become inured to descriptions of the camps yet the book manages to give a human dimension to a tale where everyone has secrets to hide. The other narrative that works very well is Alex’s fractious relationship with his girlfriend. Niki is, quite frankly, a complete pain and I’ve struggled to like her in previous books in the series. In The Black Life, she is equally irritating but the descriptions of her desperation to conceive and the effects of the fertility treatment on her mental health ring true. The ending promises a new direction for Alex Mavros and it will be interesting to see what direction the series takes. He is, as ever, a compelling protagonist so I’m sure there are treats ahead. Thanks to publisher Severn House for sending me a copy of the book. Sarah – A lovely review! And your comment about the developments in Greece shows that most of those major events have build-ups that people don’t really notice at first, but lead to, for instance, the arrest of the Gold Dawn leaders. it takes an observant author to pick up on those smaller developments. You’re right about the Holocaust too. It’s easy to get inured to what happened, so I think it’s especially powerful when it’s brought down to the human level. Thanks Margot. The Golden Dawn problem is likely to make headline news for a while but it is unusual to read a story about events that are taking place that week. This review introduces me to an author I had not heard of. The Greek series sounds very interesting. The topic of this one… the Holocaust sounds particularly interesting but I think I would want to find earlier books. I will have to look around for his books. Thanks Tracy. I’ll look out for the reviews! What an interesting review – we’re lucky to have you with your expertise on Greece. 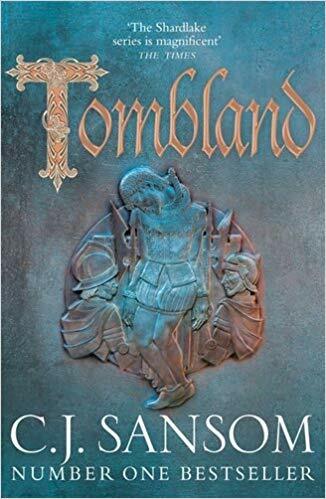 I had never heard of this author or series, but will definitely put it on my list. Great Moira. You migh want to start with an early book as they give a nice flavour of modern Athens.